Getting good dental care is an important part of providing for your full health care needs and those of your family. Yet, with so many other expenses pressing down on the average U.S. family, many find it increasingly difficult to afford biannual dental checkups, much less major emergency dental procedures. The cost of common tooth and gum care operations have consistently risen with every passing year, at nearly twice the rate of inflation over the course of the last five decades or so. Today, Americans spend a total of more than $100 billion annually on dental care, and yet, nearly half of the population has absolutely no dental insurance. If you already have dental insurance, you can potentially save hundreds or even thousands of dollars if you make frequent use of your dentist. If you do not have dental insurance but can afford to acquire it, this is often a very wise move. On the other hand, many are simply not in the financially position to pay the premiums on many dental insurance policies. Furthermore, once an unexpected tooth or gum problem hits you, you will need to find an affordable way to deal with the immediate issue, at least, without any dental insurance coverage. Root canals can cost between $500 and $1,000, and it is not uncommon for multiple teeth to need a root canal at the same time. 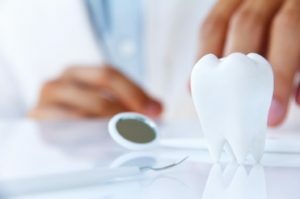 The price will vary with the type of tooth involved, the difficulty of removing the infected pulp, and the type of filling and crown you want to use. There are ways for the hundreds of dollars that root canals cost to be paid for by those without dental insurance or a large cash savings, so you need not simply wait and suffer the pain. Furthermore, tooth infections that are left to fester can spread to other parts of the body and even become life-threatening. It is not only root canal surgery that calls for a dental crown. Teeth that are cracked, chipped, or otherwise badly damaged may be salvageable only by adding a crown. Crowns, however, can cost between $250 and $1,000, depending mostly on the crown material used. If you need one or more crowns, waiting until you have more money on hand could lead to further tooth damaged, which will then increase the price you end up paying to correct the problem. If you suddenly knock out or “loosen beyond repair” one of your teeth, a dental implant may be in order. Implants use an “anchor” to answer to the natural tooth’s root and are supported by the underlying jaw bone. They can last as long as 20 years once installed, but can cost from $500 to $2,000 per tooth. Waiting can cause surrounding teeth to “drift” into the missing tooth’s space and will eventually cause the supporting bone to shrink, making it difficult or impossible to install the implant at the point. Braces can cost anywhere from $3,000 to $7,000, depending on where you live, which dentist you see, and whether you opt for traditional metal-wire braces or “invisible,” acrylic trays. Treating crooked or otherwise misaligned teeth can be delayed for a while, but the longer you wait, the worse the condition becomes. Furthermore, if you had to wait until you had, say, $5,000 free to pay for the braces, it could take an unacceptably long time to even begin the treatment. Gum disease begins with a receding gum line and infection caused by bacteria dwelling in plaque that coats your gums. Even mild cases that require tooth planing and cleansing can cost hundreds of dollars, and severe infections, which may make your gums bleed and emit white pus, can cost even more to treat. This is clearly not the kind of a situation where you can just wait until you have the money or where you can just forego treatment because you lack dental insurance. How Can I Reduce the Costs of Dental Care if I Lack Dental Insurance? Many times, dentists will offer financing to those who need it, especially if those patients lack dental insurance, are in dire need of help, and have been loyal customers for many years. In-house financing is not always available, but when it is, it is usually well worth taking advantage of. There are free medical clinics that offer dental care to those who can’t afford to pay. To be eligible, you will have to fall in a very low income bracket, and you will need to take time to research the location of the nearest such clinic. However, if you qualify and the location is reasonably close, you may want to use this option. You will not always get as experienced care as at your usual dentist, but for more routine and less complex procedures, there will not likely be any problems. Some dentists offer you the option to enroll in a membership plan, which will give you discounts of 15 to 60 percent off. You will, however, have to pay a membership fee. To find dentists near you offering such discount plans and to examine their exact terms, visit dentalplans.com and see if a plan exists that will work for you. While it may seem too good to be true, it is true. You can find valuable dental care coupons on many online “daily deals sites.” These may tend to cover things like fillings, check-ups, cleanings, and the like rather than major surgeries, but if that is your need, they can be a huge help. Not only do many dentist provide in-house financing, membership plans, and online coupons, but many also will simply reduce your bill to make up for the lack of insurance. The process is not “automatic,” but your dentist may be willing to give you an income-based rate that you can afford. Dentists are not only doctors but also businessmen. They do not want to turn away work anymore than they want to see you suffer with a painful tooth condition. They know that helping you in your time of need can create customer loyalty, and they may be willing to negotiate with you on both the price and the timing of your paying for dental care they provide. If your current dentist will not agree to a discount, you can find one who will be contacting your local United Way branch or your state dental association. Nothing speaks louder than cash. Dentists like insurance holders because their relationship with the insurance company brings them extra work and income, but they have to wait for the insurer to pay out. If you give them cash in full upfront, they recognize that time is worth money and may be willing to lower the fee. 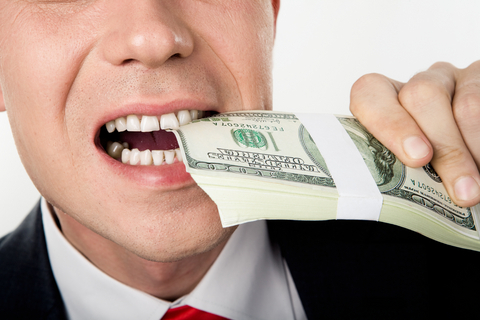 Many dentists will give you at least a five percent price reduction for the privilege of being paid in cash. That may not be enough to pay for an expensive procedure by itself, but if you are on the edge of affording it or if other means have already helped reduce the cost, that extra five percent may be helpful. Some banks, and many “alternative” private lenders with online websites, may be willing to give you a short-term loan for a major dental operation. You will need a good credit rating and, perhaps, a down payment, but you may well qualify. It may seem out of the ordinary to take out a loan for a dental procedure, and it truly isn’t the usual course of action, but if it solves your problem, why not do it? You might have a high interest rate, but if you are able to pay off the loan fairly quickly, it may be a better option than using your credit card. If you are unemployed at the moment or underemployed, you may be able to find a job with a dental health insurance plan included as a benefit. Many times, you have to be full time to qualify for these employee-based plans, but this is not always the case. There are part time jobs out there with dental coverage, and such coverage is one of the main enticements these employers use to attract workers. If you can find the job and find the time to work it, this is a possible solution to your lack of dental insurance, even if a temporary solution. Many nonprofits and charities offer free dental assistance to the poor. These are somewhat distinct from “free clinics” in that they are located at places like missions and general poverty assistance centers. Sometimes, professional dentists will volunteer at these stations as an act of kindness, and you may find free care as well as free medications. Such programs are usually limited to residents of the state in which they exist, however. Not only private but also government entities offer help to those who lack dental insurance and cannot afford care. Your state may have a HRSA (Health Resources and Services Administration), which will help you locate a low-priced dentist near you or one who gives big discounts to people in need. Another government option, if your child needs dental care, is CHIP (Children’s Health Insurance Program) Medicaid, which you may qualify for if your child is in need and you simply have no other way of providing him or her with dental care. Bartering may seem like “a thing of the past,” but this is not always the case. There are still exceptional situations in which you may be able to trade labor in order to get the dental care you need. If you have a specific skill that dentists need, for example, if you are a marketing expert, a public accountant, or a contractor who can help with remodeling needs, you may be able to strike a special deal. If it is round about April, or if you can get your tax refund early through e-filing, you may want to reinvest the money you get back from the government into saving your teeth or gums. There are good and bad ways to use your tax refund, but taking care of needed medical expenses, including dentistry, is surely one of the best ways to utilize a hefty tax return. Different areas of the country, both different states and regions and even different cities and localities, often offer strikingly different dental care costs. If you know a relative or friend who lives in “low-cost dental zone,” why not pay them a visit and take care of your teeth at the same time? If you have always wanted to vacation in a particular place, and that place has low dental prices, why not combine your medical needs with your vacationing dream? Other parts of the world also have very different dental expenses. While international travel can be pricey, so can a major dental operation. If the math works out and you can go somewhere you would like to visit anyway, why not become a “dental tourist” and enjoy both the savings and the scenery? Those training for a career in dentistry need to “practice” on real patients in order to gain the experience and the dental license that the law requires of them. You can help them advance in their career path even as they help you with your tooth troubles. These operations are typically done at a much lower cost than at a professional dental office, and a professional dentist will be there to supervise the student every step of the way. Visit the American Dental Association website to find a dental school in your area where you can receive such discounts. While participating in a clinical trial for the sake of medical research may seem frightening to many, the fact is that many of these trials are extremely low-risk. Not only that, but you can get 100 percent free dental care in exchange for taking part in them. Typically, studies will be conducted at universities or specialized research centers in the interest of proving the worth of new medications or procedures. Any free care you receive will likely need to be related to the type of trial being conducted, but you may be able to find a relevant trial near you by seeing the listings provided by the National Institute of Dental and Cranio-facial Research. It is worthwhile to fight hard to find a way to afford good dental care, for good oral health has many benefits. Good oral hygiene, through daily brushing, flossing, and mouthwash use, helps reduce the risk of encountering major dental problems down the road, but there is no way to completely eliminate that risk. That is why you need to have a way to bring dental care within reach of your budget at all times. The first benefit of a healthy mouth is that you will retain your teeth, and the full use of them, for longer in life. Missing teeth are an eyesore, affect your speech, make it more difficult to chew properly, allow other teeth to drift out of position, and weaken the jaw bone under where the tooth once was. 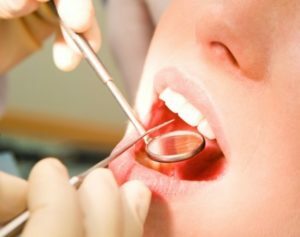 The average American between age 20 and 64 has three or more teeth that are missing or badly decayed, but there are modern dental techniques that can prevent tooth loss and restore damaged or missing teeth. We hope the tips given above will help you to take advantage of these dental procedures instead of just living with tooth gaps. Another problem that arises when teeth are in poor condition is tooth hyper-sensitivity. Some people naturally have temperature-sensitive teeth, but cavities, worn enamel, cracked teeth, worn down fillings, and exposed roots can also cause your teeth to “overreact” to hot and cold foods and drinks. Good oral health also includes healthy gums. Gingivitis, a mild form of gum disease, will leave you with swollen, reddened, and even bleeding gums. Periodontitis, a more severe form of gum disease, will likely develop if you do not treat your gingivitis quickly. In this case, the bacteria build-up will begin to irritate your gums, and inflammations will become extreme. Gum tissues and underlying bone tissue can be destroyed, gums recede from the teeth, and teeth can even eventually fall out as a result. Finally, also note that poor oral health can cause health problems in other parts of the body and can aggravate existing conditions like diabetes. Bad breath, or “halitosis,” is also caused by dental problems that are left untreated. While you may opt for the methods listed above to avert a dental crisis in the near term, you may be interested in eventually obtaining dental insurance once you can afford it some time in the future. If so, be aware that there are three main kinds of dental insurance plans. First, there are “indemnity” plans. These plans have your insurer pay your dentist a certain percentage of the service charge, reducing your out-of-pocket expenses. It is not necessary that the dentist be in a preexisting network, but you simply make the arrangements between a dentist of your choice and the insurer. Another type of dental insurance policy is known as a DHMO (Dental Health Maintenance Organization) policy. In this case, a dentist agrees to give patients who have a policy with a particular insurer a reduced rate for the sake of being included in the insurer’s dental network, and thus, gaining extra work. While there are some limitations on fee-reductions, DHMO plans are often used to reduce the costs of major dental procedures. The third major policy type is the PPO (Participating Provider Network) plan. These are similar to DHMO plans but also allow you to use dentist not in the network and still receive coverage, though in smaller amounts. You get an “annual maximum” that, if exceeded, leaves you to pay any remaining dental expenses, but you can adjust this maximum higher if necessary to cover you needs. Dental health is a major concern that you should not neglect nor delay, hoping to wait to take care of your teeth and gums at a later date. If you do not have dental insurance nor enough cash on hand to take care of a dental emergency, there are many possible other ways to reduce the cost. You may want to eventually invest in a dental insurance policy, but do not risk your oral health in the meantime just because you lack dental care coverage.